The expression Once In A Blue Moon. Elvis Presley, Billie Holiday, Sinatra (whatever your thrill) singing: “Blue Moon… You saw me standing alone…” Where did the inspiration come from? Because the color blue is not what a Blue Moon is about — depending on which or how many cocktails you’ve had, of course. 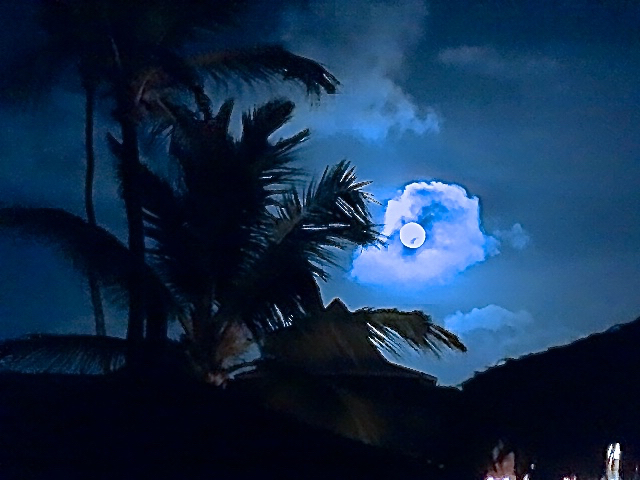 I’ve tried (did my utmost) to capture the essence of a Blue Moon in Aruba for you. See? 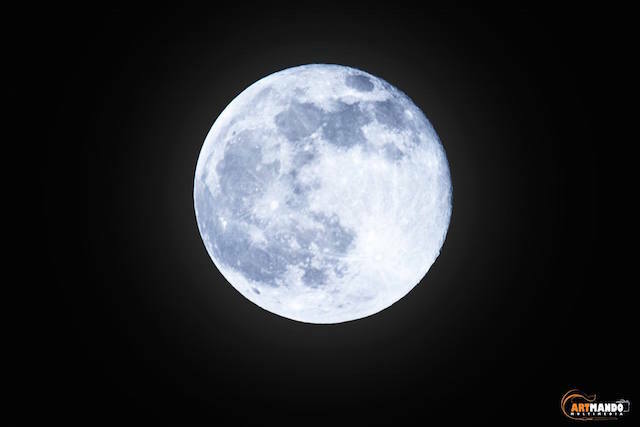 If I told you that a Blue Moon is a rare occurrence, happening once every 2.7 years, because it’s the second full moon in the same calendar month (first full moon on July 2nd, second full moon on July 31st), maybe you’ll nod approvingly, raise your hand to debate, shrug, yawn or howl. Wherever you stand, I hope you got a chance to simply enjoy life’s wondrous moments on our lovely island, yesterday. You don’t always have to know, understand nor believe in something in order to grasp the true meaning of it. Existing, just being part of everything around us without even trying, may bring us more enlightenment than we ever imagined. Of all the wondrous activities I could’ve picked out on my precious Friday night (Happy Hour at the Pega Pega Bar, binge-watching favorite TV show OITB, Quiz Up Marathon with brainy friends…), I am so incredibly glad, I joined Carolien’s Blue Moon Yoga Class on the beach at Manchebo. Sure, you’re thinking, I have no choice, it’s my job to do that stuff and write about it. And you’re partially right. It is what I do. But, it’s also what I choose to blog about. Exquisite food, relaxing Spa treatments, invigorating cocktails… not a bad career choice, huh? Honestly, I didn’t have a clue what I signed up for. Blue Moon Yoga? It’s 8:30 p.m. The moon is perfect; a bright eye peeking over the dark palm tree silhouettes. I’m stepping onto one Aruba’s most desolated beaches. The sand is cool underneath my bare feet, the softest shade of blue, I realize. 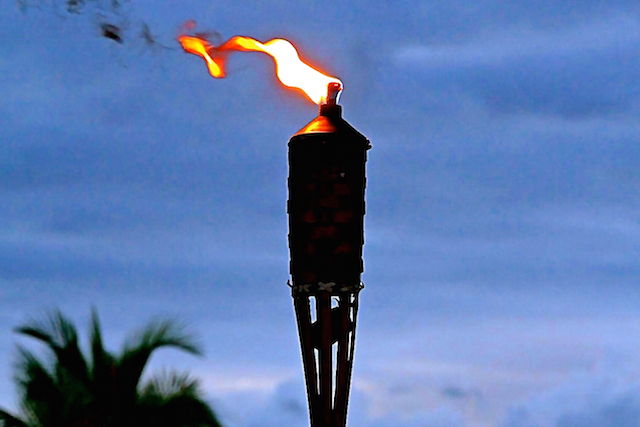 Four flaming torches are waiting for us to take place among them. We are going to greet and honor the moon. It’s called the Chandra Namaskara, our lovely teacher Carolien explains. With every posture, every sequence, I become more and more aware of my breathing, my body (especially those areas that haven’t been challenged yet). Eyes closed, I hear the voice of the wind, the ocean waves, sea grape leaves rustling nearby. It’s a cycle, a flow of energy we’re becoming aware of, part of. When I raise my arms high in the air and gaze up toward the night sky, I catch a shooting star. “Make a wish,” the moon whispers.